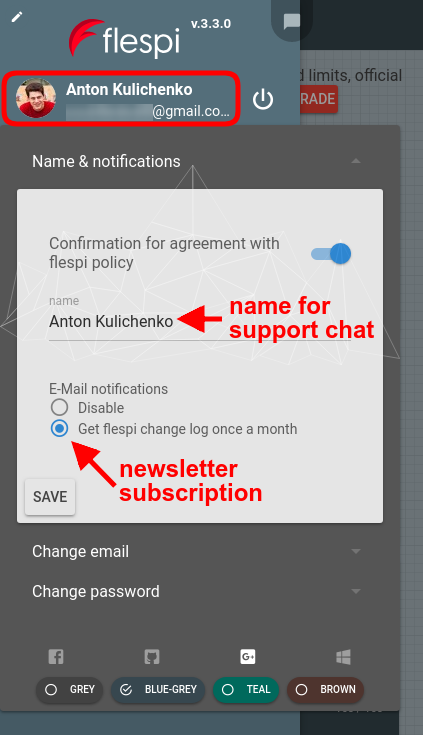 How to register and manage the flespi account, use tokens, and not be deleted. If you choose to register via email, you might need to wait a bit for the automatic login link. 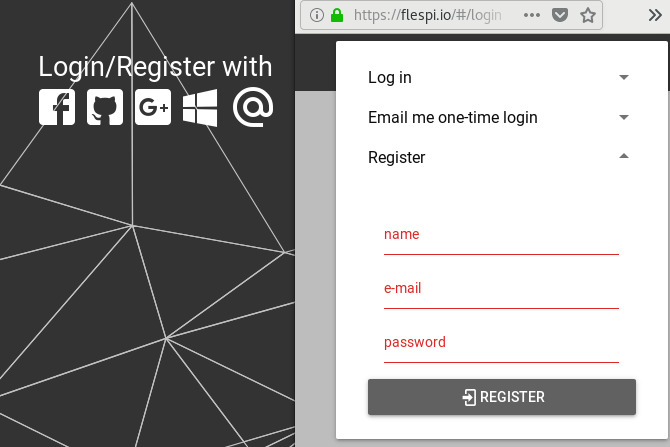 In addition to UI mode at https://flespi.io, you can manipulate your account via API using HTTP REST requests or MQTT session. Both must be authorized with tokens. Tokens can be managed in the appropriate tab. Note! Free accounts will be removed after two months of inactivity. In this case, you can create another account with the same email. Several social accounts can be tied to one flespi account. This way you can minimize the risk of losing access to your flespi account. Or spread account access between several persons. 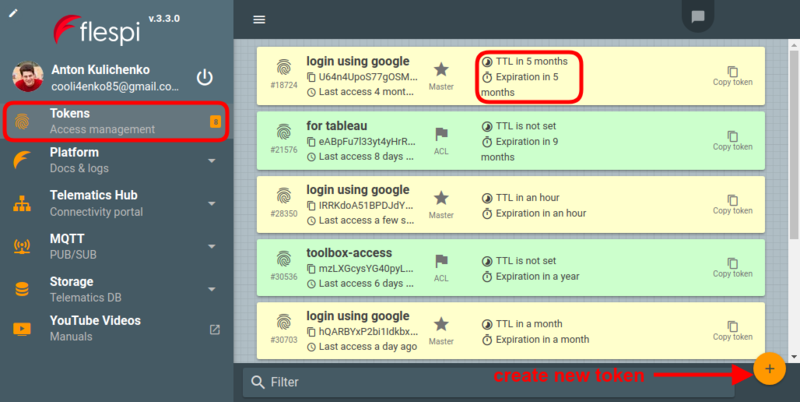 Account limits can be checked inside the flespi panel or via API.